Although many of you are familiar with my Mt. Kenya Jackson's chameleon, Kudzu, I wasn't born a reptile enthusiast. I've learned more in my two rollercoaster years of chameleon keeping than any two years of my life. 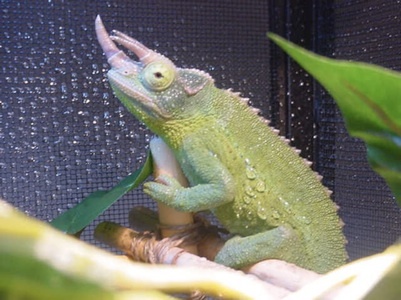 To help to educate others about the pitfalls of chameleon impulse buys, both to "rescue" the animal and by novices, I will share my story of how Kudzu came into my life. It was August of 2004 and my birthday was on its way; I wanted a new pet. I wanted something cool, different, something no one else I knew, had. No sooner did I enter PetSmart, and find exactly what I was looking for. In a small glass aquarium were four chameleons. Two Veiled chameleons, and two Mt. Kenya Jackson's chameleons. After much personal deliberation, I purchased a male Jackson's because I thought his horns were rather interesting. The sales associate assured me a glass aquarium, dripper, bark substrate, water bowl, and a basking lamp were all that I needed. I quickly purchased these necessities and went home to set up my new chameleon's habitat. The photo below depicts Kudzu at the time of purchase. I had no idea this was abnormal. Clearly Kudzu was extremely dehydrated & emaciated. Not long after, I began to seek out more information about the animal I had just purchased. I started my search just by typing "chameleons" in the Google search browser. However, I found it extremely difficult to sift through the piles of information, both good and bad, and many places in between. I stumbled upon many different chameleon forums, immediately starting to ask questions. It was clear by the responses made that very few of these self proclaimed chameleon experts knew what they were talking about. Most of the responses were "that's normal" or "mine did that too." Upon further question, many of these people's chameleons had died, and been hastily replaced. Apparently they'd had the same experiences with finding misinformation. Several websites and books were recommended to me, including www.adcham.com, www.chameleonjournals.com, and this very site. These websites helped in my search, but how do you know who is right? Is 80% humidity ideal, or 70%? Do I mist 3x a day, or will a dripper be enough? Do I really need 5 kinds of feeders? And what the heck is gutload? It became clear I was in far deeper than it appeared on the surface, and something had to be done about it. I soon came to the conclusion that everything in my entire setup was incorrect. Concerned for Kudzu's well-being, I immediately tried to rectify the situation. I returned the bark substrate, water bowl, and the aquarium and purchased a new screened enclosure (12x24x26) and a UVB light source. Once I had my setup corrected, Kudzu seemed to thrive in his new environment. He began to act like a normal chameleon, eating, drinking and otherwise looking healthy in my eyes. The photo below shows Kudzu in his updated enclosure. I noticed rapid weight gain and frequent, clean sheds. However, it quickly became apparent that Kudzu was a picky eater. He would only eat crickets, flies, cockroaches and wild caught moths. I didn't think much of this, after all, he likes what he likes, right? It's funny how as soon as you think you have everything under control, something happens unexpectedly and slaps you in the face. Illnesses and issues started to occur out of nowhere. Still at a fairly young age, Kudzu began to experience more troublesome sheds. The skin would slough off in separate pieces and took several days or even weeks, to complete. It also became rather noticeable that one eye was significantly smaller than the other, although there were no signs of severe physical dysfunction in either eye. I do believe that the size difference in his eyes affected his ability to hunt efficiently, however. 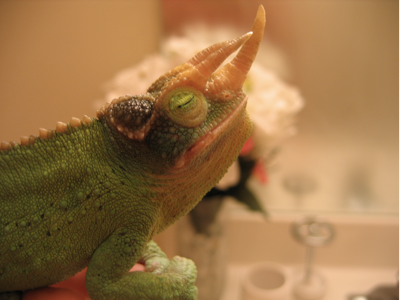 After a few short months of what seemed like a healthy, happy chameleon, Kudzu developed an upper respiratory infection. He was taken to the vet and the infection was quickly cleared up by a two week Baytril regimen. Suddenly, Kudzu stopped drinking entirely. I took him back to the vet, and he was treated for a generalized mouth infection. When it became clear to me the treatment was ineffective, Kudzu went back to the vet for another evaluation. In a week Kudzu had gained 10 grams, the vet chalked it up to calibration in the different scales used. I wholeheartedly disagreed. 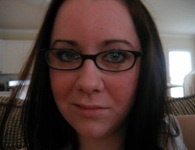 I expressed to her my thoughts on him retaining water, and his having issues excreting waste. Although the vet vehemently told me I was wrong, they gave him an enema just incase he was impacted. I felt like the enema was a waste of my money, and took him home. Not knowing what to do, I waited, and Kudzu recovered on his own, in time. It became quite clear that I needed to find a new vet. Luckily, there was another qualified vet within 10 miles of my house that seemed to have a better understanding of the delicate nature of these animals. At this point, I was dumbfounded with Kudzu's health problems. I had done everything right, or so I thought at least. I had bought all kinds of equipment, lots of different feeders. I was religious about cleaning, watering and humidity. I even started using a good gutload! What is the deal? It slowly began to sink in that maybe the care wasn't the root cause of the problem. Maybe he came to me with the propensity to easily succumb to infection and other illnesses. Maybe buying a half dead animal from a pet store on a whim wasn't as cool and exciting as it seemed at the time. That aside, now I had him, and it was my problem to get him back in shape. 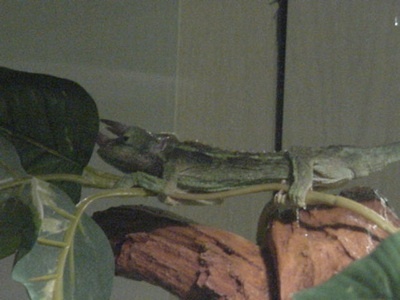 Once he overcame the infection, Kudzu started to climb the screen of his cage constantly. He even began scraping his horns on the top of the cage for long periods of time, interfering with his normal daily activities. Fearing horn or skin damage, a 2x2x4 cage was purchased to allow more freedom of movement. Although this cage is rather large for a Jackson's chameleon, it was the only one big enough to stop the behavior. The new cage presented a new problem: appropriate humidity levels in the smaller cage were easily accomplished, but I had to battle the increased airflow and size of this new cage incessantly. Daily misting and a humidifier in the room were barely enough. Nonetheless, Kudzu seemed happy & healthy once again. He resumed his normal activities, although the new cage brought about a whole new personality and routine change for him. In his new environment, Kudzu gained weight dramatically; he topped the scales at a robust 84 grams. No sooner than I felt that Kudzu was stable again, did things go down hill. I noticed slight swelling in the corner of the mouth. His appetite decreased. Unfortunately, I wrote it off until it was too late. Kudzu had developed an advanced temporal gland infection. The photo below shows Kudzu's first temporal infection at its peak. Notice the redness and swelling associated with the infection. Although not pictured, Kudzu's wound did bleed severely. The new vet decided to place Kudzu on Ceftazadime injections, and wait to see if the inflammation went down. The infection was non-responsive to the antibiotics and a decision was made to excise the infected tissue. The removal went smooth, but the recovery was extremely difficult. Kudzu stopped eating and drinking altogether. A blood panel was ordered, but to no avail, nothing abnormal. A couple of months later I noticed the same kind of swelling on the opposite side of his mouth. Back to the vet again, and Kudzu was placed on Baytril for two weeks. This time, the infection seemed to be healing without further treatment or invasive procedures. However, it reappeared after several weeks and Kudzu was placed back on Ceftazadime infections. Again, he was non-responsive to the drug, and surgical removal of the infected tissue was the course of action a second time. It seems like as soon as the first infection healed, he had another. I waited a few weeks and kept a close eye on the infection. At first it seemed to be healing, but after showing poor progress, I had to take him back to the vetâ€¦. again. The infection had resurfaced for the third time. Antibiotics, a blood panel, and abscess removal was prescribed yet again. The procedure went well and Kudzu is currently healing from his third temporal gland surgery. He seems to be making good progress thus far. Thankfully, after almost two years of battling one problem right after another, Kudzu is still alive today. After one upper respiratory infection, and three temporal gland surgeries, the cost of all my vet visits totals over $1,000; and Kudzu still isn't 100% fully recovered. His weight has dropped down to 63 grams, Â¼ decrease from his previous weight. He's far from what I would deem a healthy chameleon, but we can only do the best we can, with the resources we have. I need to make mention that no book, or website contained the information needed to respond to many of my continual issues. Every situation is different, and one resolution can never fit every case. That's why it's extremely important to share the knowledge that you gain from experience to help those who need it most. Ask questions, get lots of opinions, but take them with a grain of salt. After all, who wants to do what the guy with the dead chameleon did? There are several people who will remain nameless, but I remain indebted to you for your first hand experience and unfailing dedication to such wonderful animals. The important question is: had I known what I know today, would I have brought Kudzu home? Although I gained experience, knowledge, and strength to deal with many types of issues, I have to honestly say I would not do it again. Although at the time I didn't know Kudzu was in poor condition, some people would have recognized this, and bought him anyway. Rescuing chameleons from deplorable situations creates a vicious cycle. The pet store believes they are selling them well, making a good profit, and stocks more of them to fuel this perceived demand. They often house them in horrible conditions, and otherwise set the stage for a lifetime of illness and issue. My advice to anyone wanting to "save" a chameleon, or otherwise buy one on impulse is to not do it. 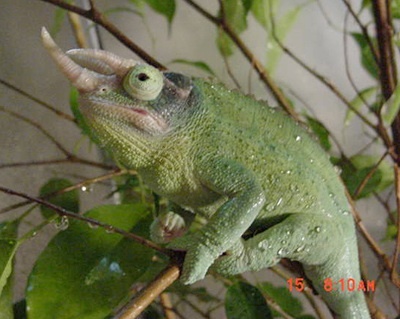 Start off with a healthy captive bred animal from a reputable breeder, especially if it is your first chameleon. Chameleons are difficult enough to provide for, let alone when they've been neglected to the point of having permanent damage. I guarantee you'll be happier with a healthy, well adjusted captive bred animal that has been properly cared for before it ever opened its eyes. "Editor's Note: Unfortunately, shortly after this article was completed, Kudzu passed on. There are times when even the best efforts fail to bring back an ill chameleon but its those efforts which make the difference between successful and unsuccessful keepers in the long run."